Concept cars are used as vessels to showcase new design styling and technologies at motor shows. These cars display the new concepts engineers have toiled over in laboratories, and imagined beating up on the test track. These concept cars present sensational examples for engine and body design, often featuring 3-6 wheelers, exotic materials like carbon fiber, doors like a DeLorean, and canopies (they're big in the design world). As fantastic as these concept cars may be, many never make it to the assembly line. Here's a look at some of the standouts. The 2010 Audi e-tron unveiled at the Paris Motor Show, is a sleek looking concept car. The hybrid is powered by two electric motors and a 300-horsepower twin-turbo TDI V6 engine, which gives it rocket boosters. The only problem is that the name "e-tron" is seen by French speaking individuals as being overly similar to the French word "étron," meaning turd. 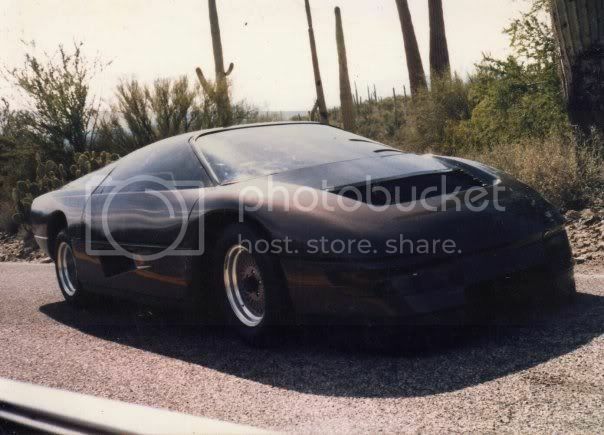 The Dodge M4S concept car became famous for its starring role in the 1986 film, The Wraith. The M4S had a mid-engine, twin-turbo 2.2-liter four-cylinder engine, that produced 400hp, a top speed of 194mph, and a price tag of an est. $1.5 million. Running down gang members in the M4S was enjoyable, while it lasted. The Volvo Tandem Car looks like it was used in the 2010 film, Tron: Legacy. The coolest aspect of this car is the fighter jet-style seating where the passenger sits behind the driver. The Tandem presents a stylish commuter vehicle that produces little energy, and may help take Volvo into the future. 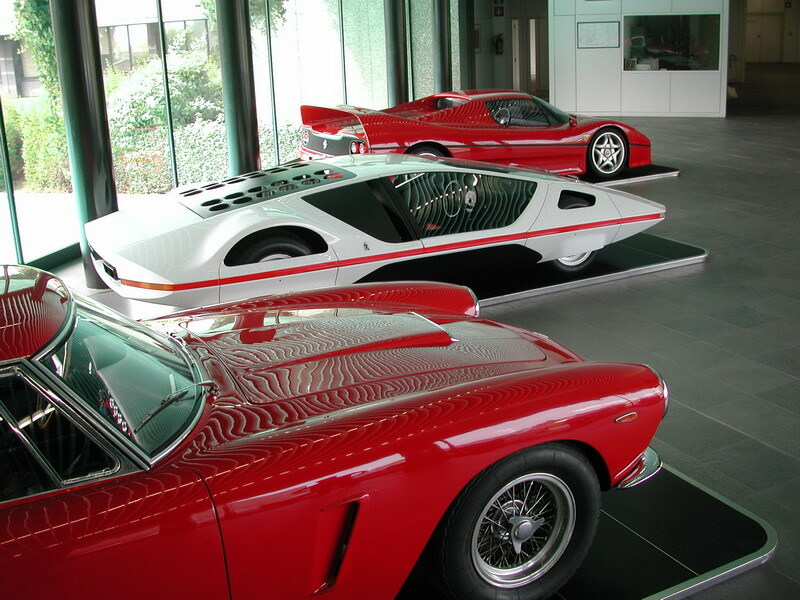 Ferrari built the 512 S Modulo concept car, and unveiled it at the 1970 Geneva Car Show. The Modulo was a futuristic endeavor. The extremely low body and canopy style door were distinct to the design. Cars of 2025 will still take design notes from this Ferrari. 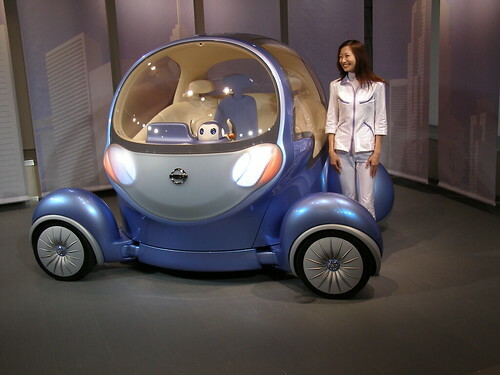 The Nissan Pivo would make parallel parking in every major city a cinch -- the Pivo's cabin and wheels are designed to rotate a full 360? -- all the owner has to do is pull up to a parking spot, rotate the cab and wheels 90?, and drive the car in sideways. The BMW GINA concept car is one of the most fascinating vehicles on the list. Instead of using traditional sheet metal for the body, the Gina boasts a fabric-skinned shape-shifting body. The shape of the frame is controlled by many electric and hydraulic actuators. Designing the GINA aides in challenging existing design principles. The Honda Fuya-jo is practically a late-night DJ set on wheels; the name even means "Sleepless City". It debuted at the 1999 Tokyo Motor Show and features a dashboard that resembles a DJ's mixing board, a steering wheel shaped like a turntable, and semi-standing seats to resemble skateboarding or dancing at a club. Sweet. The Ford Nucleon was part car, part plutonium-powered sedan -- a design influenced by the world's obsession with nuclear power -- to sit in American driveways of 1958. The nucleon could go 5000 miles on a single charge, the only problem was the emissions output; nuclear fallout fails smog test standards, and accidents create nuclear explosions. Luigi Colani is a German industrial designer known for his characteristic designs -- rounded, organic forms which he terms "biodynamic". His pod truck designs have never been produced, but have been inspiration for aerodynamics used on Mercedes truck cabs. The Maserati Birdcage was first introduced at the 2005 Geneva Auto Show, and was named to honor the classic Maserati Birdcages of the 1960s. The Birdcage is a vampish automobile with its low-slung chassis, well-groomed body design, and 700hp. Only problem is since it's so low-slung, other drivers can't see it very well, which keeps this sports car off the streets. In the early 2000s, Hyundai and GE Plastics announced a joint venture to produce a car whose exterior is made primarily of recycled plastics. The Qarmaq demonstrates technological innovations which turn low-grade recyclable plastics into automotive-grade parts. Green living is becoming an integral aspect of future design. With so much research and development going on in the 1950s devoted to aircraft engines -- post-war jet propulsion technology -- it's not surprising that the technology eventually found its way into an automobile. Rocket-powered cars were now a possibility, and safer than nuclear powered cars. The Mazda Taiki is a concept car with a very interesting design. The glass canopy conveys a very futuristic feel, and the concept's exterior lines are inspired by wind flowing through a Hagoromo; or the "flowing robes that enable a celestial maiden to fly." Anime meets car design in the Mazda Taiki. The design of the Lincoln Sentinel resembled a futuristic Batmobile when it hit the auto show circuit in 1995. Though the body design was progressive for the time and got positive reviews from the press, it failed to gain widespread popularity at Ford. In the popularity contest for "hippest" looking Town Car, this concept remains victorious. Volvo was known for having a design philosophy geared toward the "boxier" end of the spectrum. Volvo sought to create a concept car based off the popular 850 model with a hybrid electric and gas turbine engine. The Volvo ECC drove at a snail's pace, but the polished lines have become a part of Volvo's design language, which puts them in hipsters' driveways across the globe.